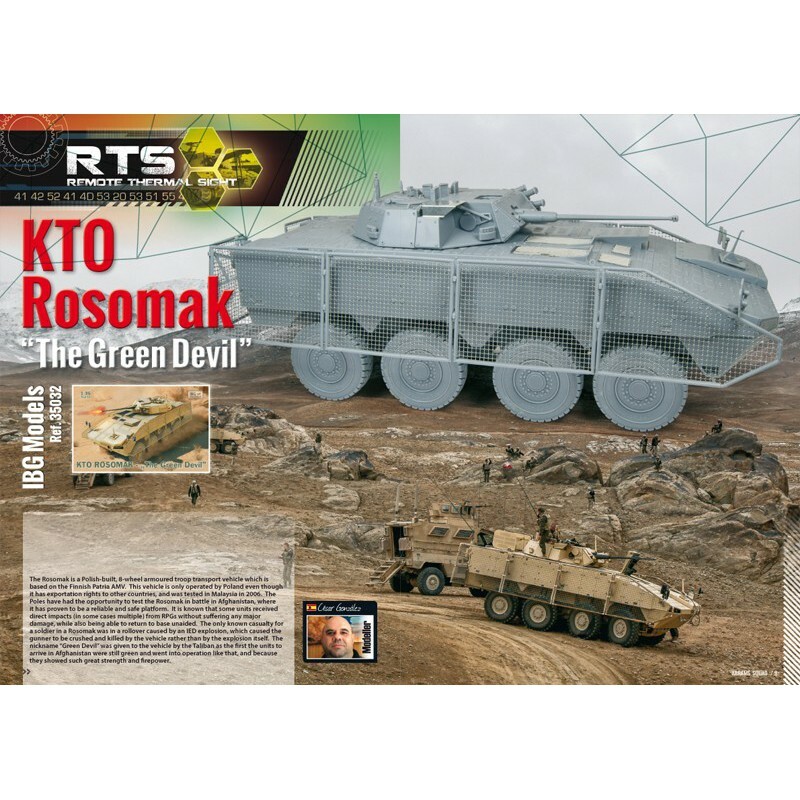 8 – Remote Thermal Sight: IBG Models hit the market with a new model that will probably be a pleasure for many fans of wheeled modern AFV’s, the Rosomak or “Green Devil”. Abrams Squad had the opportunity to work with a shot test before the release of the kit and that’s why we have published this article at the same time as when this kit hits the shops. César has made an amazing job as always, to provide you a unique guide of how you can build your own Rosomak without problems and stress. 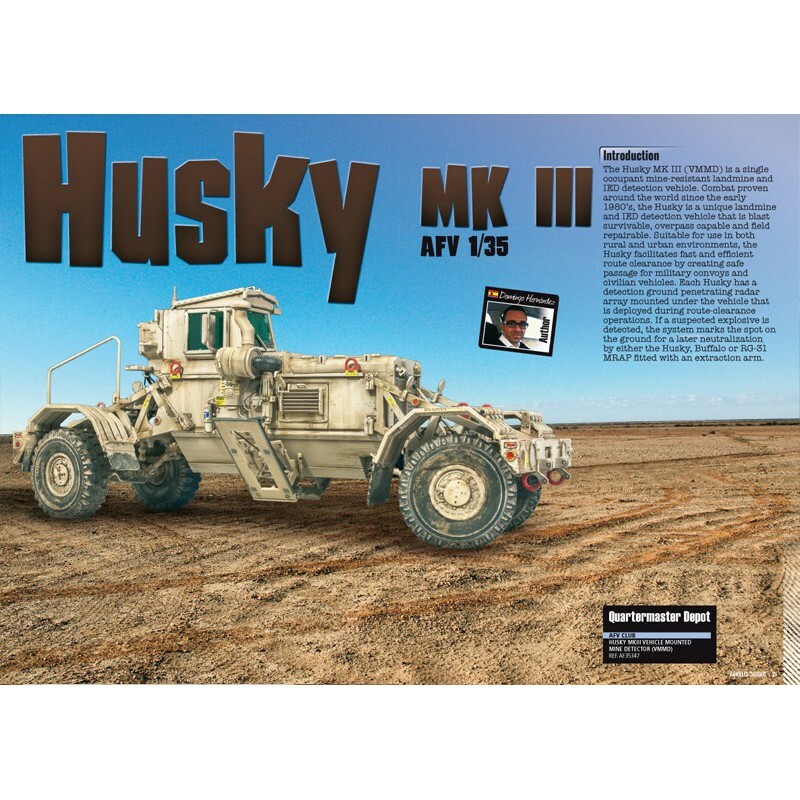 20 – HUSKY Mk.III: Some time ago, Domingo Hernández also published an article of this odd looking mine detection vehicle, but at that time he did a scratch build in Quarter scale. Now he hasn’t hesitated for a second to build the brand new AFV Club model with exceptional results. 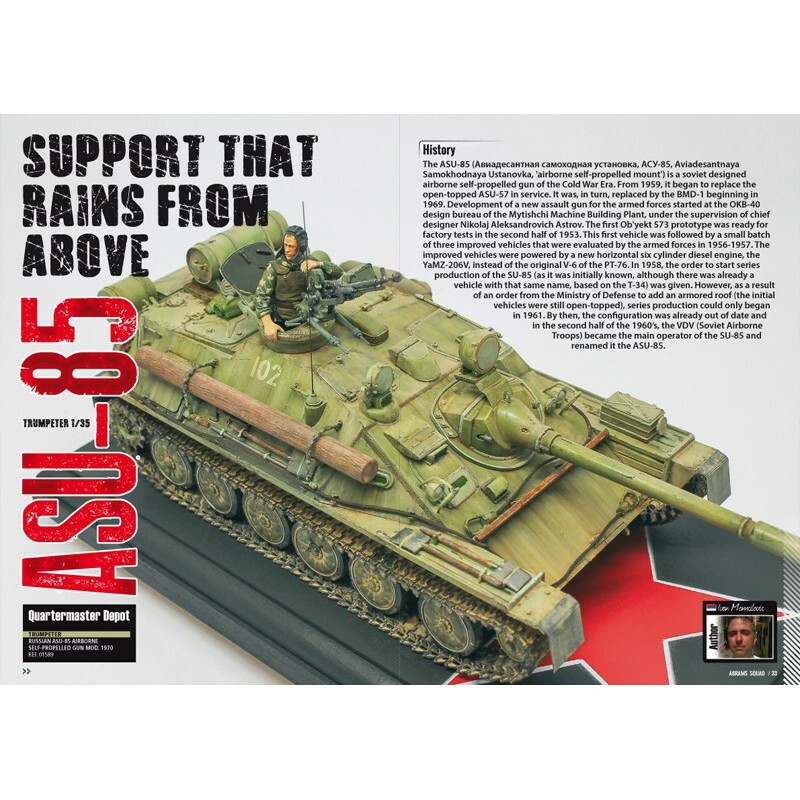 32 – ASU-85: SUPPORT THAT RAINS FROM ABOVE: A new member of the Squad, Ivan Momcilovic “Momcha” will seduce us with one of those soviet vehicles that Trumpeter loves. It’s the selfpropelled gun ASU-85 that could be dropped with parachutes and was developed during the Cold War. Ivan achieved fantastic results with the Black and White painting method. 42 – ANAKONDA: NATO’S EXERCISE: We present you a short article about the recent NATO manoeuvres that took place in Poland during the June month of 2016 under the codename “Anakonda”. The article is splendidly illustrated with a series of pictures that will motivate many of our modern armour fans. 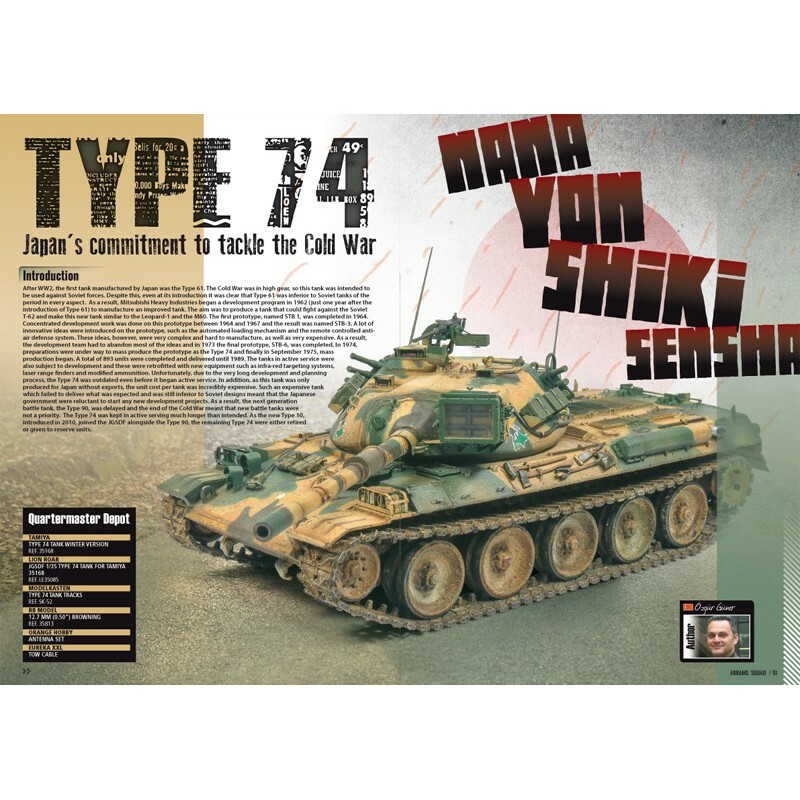 50 – TYPE 74: Japan's commitment to tackle the Cold War: And once more Özgür Güner fi lls the pages of this magazine with a JGSDF subject, in this case a Tamiya classic improved with superb standards of building, detailing and painting. A total treat for the reader, who can learn how to build this venerable model kit and paint it in an original way. 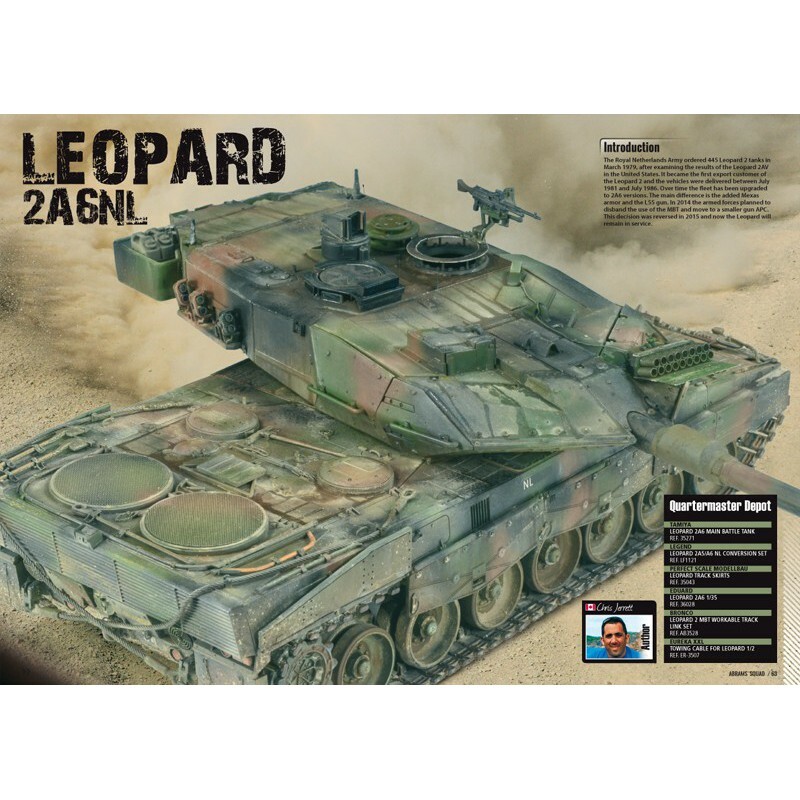 62 - LEOPARD 2A6NL: Another great article from Master Chris Jerret, that colour our pages with an article with one of the numerous Leopards that he has in his collection. Chris is an expert in the Main Battle Tank of Germany and many other NATO countries, this Dutch example is no exception. 72 - LEOPARD 2A6NL REFERENCE’S: Patrick Winnepenninckx shares with us a bunch of reference pictures of the Netherlands Leopards that assisted Chris in the fi nishing of his model. 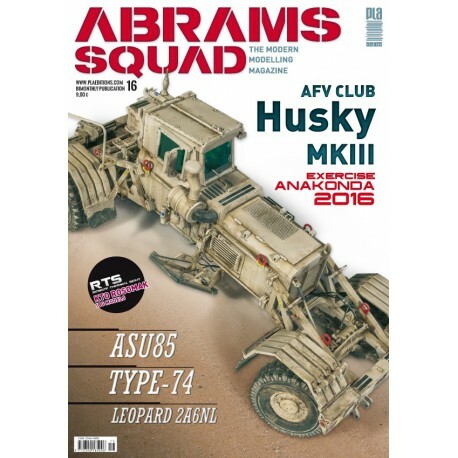 76 – Turret Basket: at the end of every issue you’ll find the kits that we’ll find in the market soon and some teasers of the next Abrams Squad Magazine.